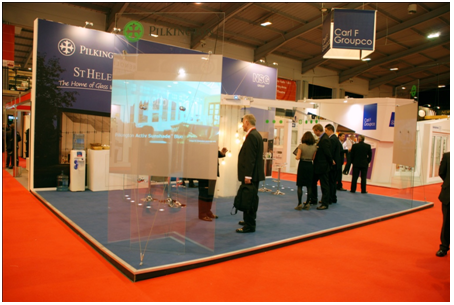 Unveiling a host of glass products, customers have been given an exciting insight into the latest innovation and improvements from Pilkington UK Ltd. Sharing updates on several of our glass products, trade customers have been able to learn about our new ultra low-emissivity toughened glass product, Pilkington Optitherm™ S1 Pro T, as well as our etched glass range – Pilkington Oriel Collection – which has been updated with some exciting new patterns. Customers were also informed about our new anti-condensation glass, which helps prevent condensation occurring on the outer pane of glass, as well as Pilkington Pyroclear®, an advanced toughened fire-resistant glass product and Pilkington Activ Sunshade™, our latest self-cleaning glass with superior solar control. In addition to this, trade customers have been given the opportunity to learn how the new off-line coating facility at Cowley Hill benefits glass manufacture in the UK – providing glass products that serve most architectural application. “The new coater opening last year was the final piece of the jigsaw in terms of our UK supply network, and we’re looking forward to showing our customers how they can benefit from this investment in our local capabilities” explained Andy McDowell, UK Commercial Director.